For years, I have shed a few tears every time my family enjoys delicious Carolina barbecue with beans and slaw and hush puppies. Hush puppies are not on the menu when you are eating gluten free. Until now. 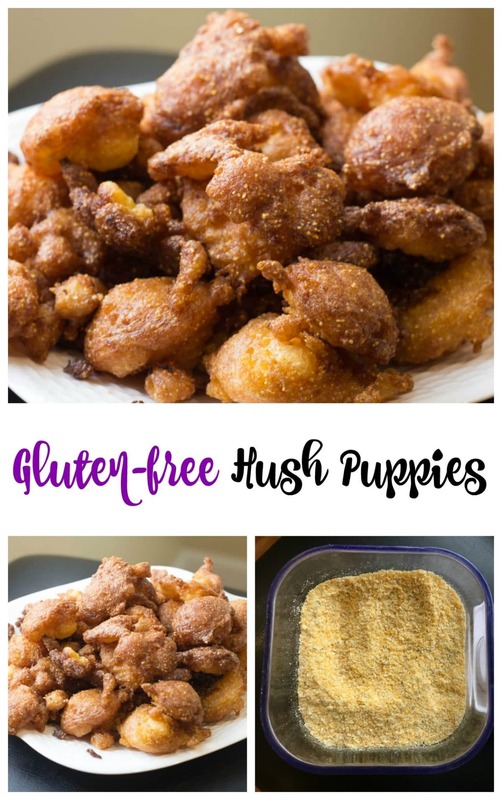 Gluten-free hush puppies? What? No way. YES. Get ready to rock your next barbecue. On a whim, I put together some ingredients to make gluten-free hush puppies to go with our barbecue potluck dinner the other night and they were DEVOURED. At the end of dinner, there were regular hush puppies left over but the gluten-free ones were gone. Not even a crumb. Hush puppies are not much of a stretch to turn into a gluten-free version. Hush puppies are corn meal based, not flour. This is why awesome treats like corn bread and corn muffins transition really well into gluten-free versions. Mainly corn plus a little flour. You’ll never notice the gluten-free swap. My hesitation making gluten-free hush puppies was finding most recipes calling for self-rising corn meal. Whoa. I didn’t even know there was such a thing. Welcome to the south! When I went to my local Harris Teeter, there were at least five different brands of self-rising corn meal. Haha! Who knew? Time to improvise … instead of stressing over the self-rising corn meal, I decided I would place some faith in Bisquick’s self-rising flour plus my tried and true corn meal. It worked. The batter was thin compared to what I was expecting and I was a little nervous as I was dropping tablespoons into the hot oil, but miracle of miracles, these little guys puffed up into delicious treats. 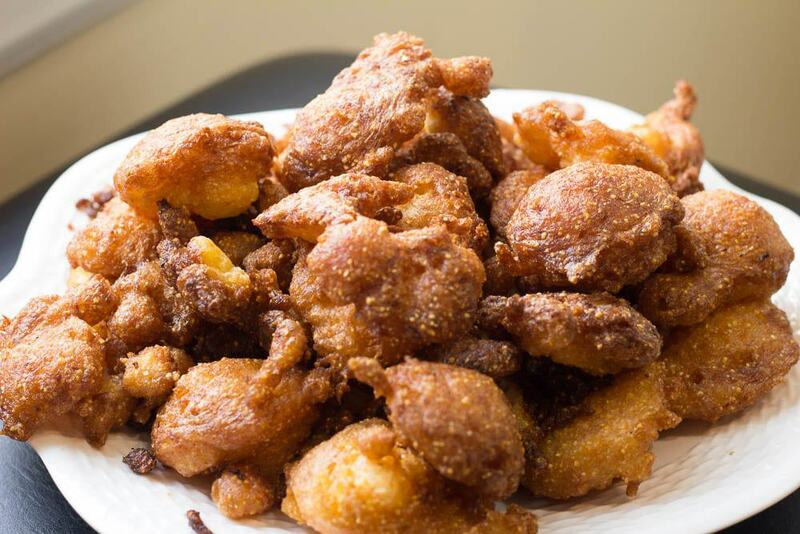 These gluten-free hush puppies are going to transform your next barbecue!! Combine ingredients in a large bowl with a large wooden spoon. Heat 2 inches of canola oil in a heavy bottomed pot. 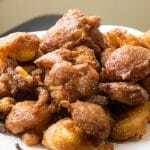 Drop hush puppies by the tablespoon into the hot oil. Don't crowd the pan. Watch for the hush puppies to rise up. 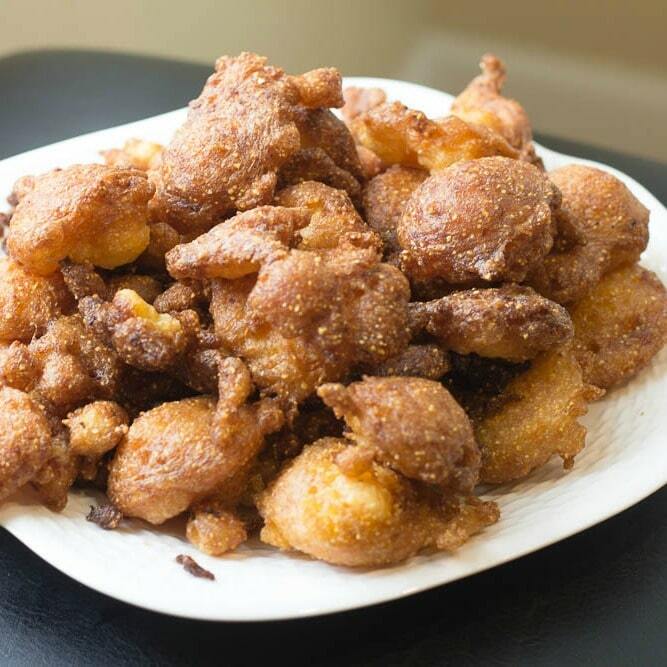 Gluten free hush puppies … little pieces of fried heaven.